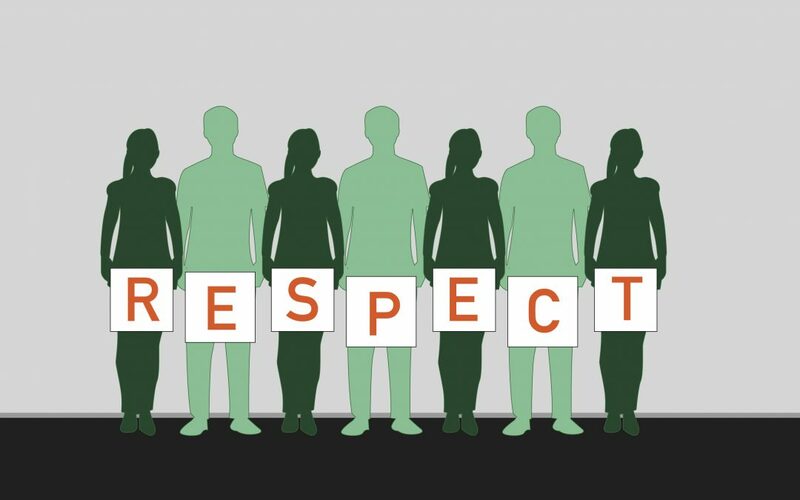 Aretha Franklin, Jesus Christ and the Honor Code all agree on one thing – respecting others is very important. We at the Scroll concur with President Worthen. We believe that as students of the Church Education System at BYU-Idaho, we have the duty to respect others, not only because of the commitment we make when we sign the Honor Code, but because it is our responsibility as disciples of Christ – not only to respect people in person but online as well. According to Pew Research Center, 59 percent of teenagers in the United States have experienced cyberbullying. If you look online, it’s fairly easy to see that teenagers aren’t the only ones affected by online bullying and harassment. A 2017 Pew Research study found that 41 percent of American adults have experienced online harassment, 66 percent have seen online harassment directed at someone else and 62 percent consider online harassment a major problem. A lot of us might assume cyberbullying is just pre-pubescent kids calling each other inappropriate names anonymously, gay and racial slurs over Xbox Live, or using social media to tell other teens to harm themselves. But cyberbullying is more than that. There are a variety of definitions for cyberbullying, but they all boil down to using technology to harass, bully, threaten, intimidate, embarrass or target someone. This behavior and incivility have destroyed our ability to share ideas and debate in a civil manner online. Comment forums are full of binary arguments, YouTube is full of videos where someone with a particular viewpoint is shown “annihilating” or “destroying” the opposing ideology, ‘sick burns’ are glorified and small sound bites are used to support a particular point of view. Cyberbullying has become something that most everybody has seen – including our elders. Social media is a big part of almost everyone’s life nowadays — in fact, the fastest growing age group joining social media is those 45 and up. Those 55 to 65 are even joining sites like Twitter with vigor. Facebook, Instagram, Twitter and more are constantly changing their algorithms. New websites and apps pop up each day, and the digital world around us moves faster and faster. One thing that won’t change is God’s law to love one another. The idea of loving others as we love ourselves, or treating others how we want to be treated, is something that most of us learned as children. So why is it, then, that as soon as there is a screen separating two people, the respect and the love dissipate? A technology company in the United Kingdom released a blog post analyzing cyberbullying. They discovered that some of the reasons cyberbullying has become such an issue is due to anonymity behind screens and less obvious consequences or reactions. A 2010 study discovered that young people who cyberbully have less empathy. When we lack empathy and compassion for others, we are taught to “pray unto the Father with all the energy of heart, that (we) may be filled with this love.” We are promised that if we reach out to God and try to love others, we will see them as God’s children, avoid saying negative things about them, have the patience to try to understand them and help them when they are struggling or discouraged. Almost every issue of a complex nature cannot be solved with single-sided, us versus them mindset. Too many people take the lazy way out, and instead of studying an issue from every side, they try to pick and choose pieces of the issue, throw out a quick retort and move on. As we stand stubborn in our positions, unwilling to look at things from another point of view, social media reinforces our echo chamber, and we end up with one side having contempt for the other. The bottom line is that contempt and hate are easy to express when you aren’t staring somebody in the eyes, or do not have a personal relationship with them like Deb mentioned. If you can distance yourself from a person and turn them into just a series of pictures or words on a screen, it becomes easy to view someone as ‘other.’ It is easy to start deconstructing and dehumanizing a person in order to prop up your own point of view. That little golden rule we learned as children is even more important now — do unto others as you would have done to you. If you wouldn’t say things to someone’s face, looking them dead in the eyes — don’t post it. If you get irritated, then take a step back, breathe, and create a calm and compelling argument for your position — without attacking someone’s opinion with hate.